Extra thin Durex Elite condoms for greater sensitivity with increased lubrication. 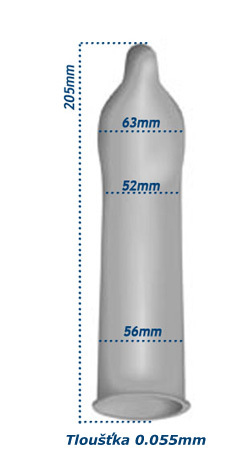 Anatomically shaped condoms for easier deployment and more intense experience. Very fine condoms with enhanced lubrication to achieve greater sensitivity, lubricated with non-spermicid lubricant containing Zeus Odour masker, which covers the smell of latex.